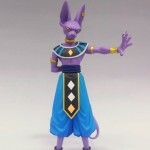 With the Dragon Ball Balttle of Gods DVD being released soon along with as much of the world wide cinema release as possible it’s time for more merchendise news. 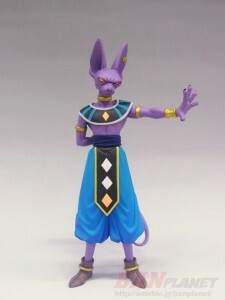 So far it looks like no toy company has signed for real toys of the movie yet but we are getting closer. 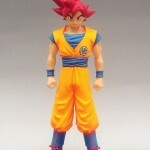 So far we have had WCF toys a candy toy of Goku and a few custom Figuarts Birusu toys. 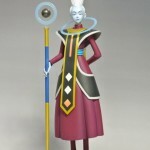 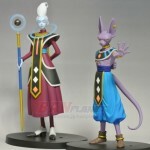 The latest Battle of Gods toys are highly detailed statues based on Goku, Whis and Birusu himself.